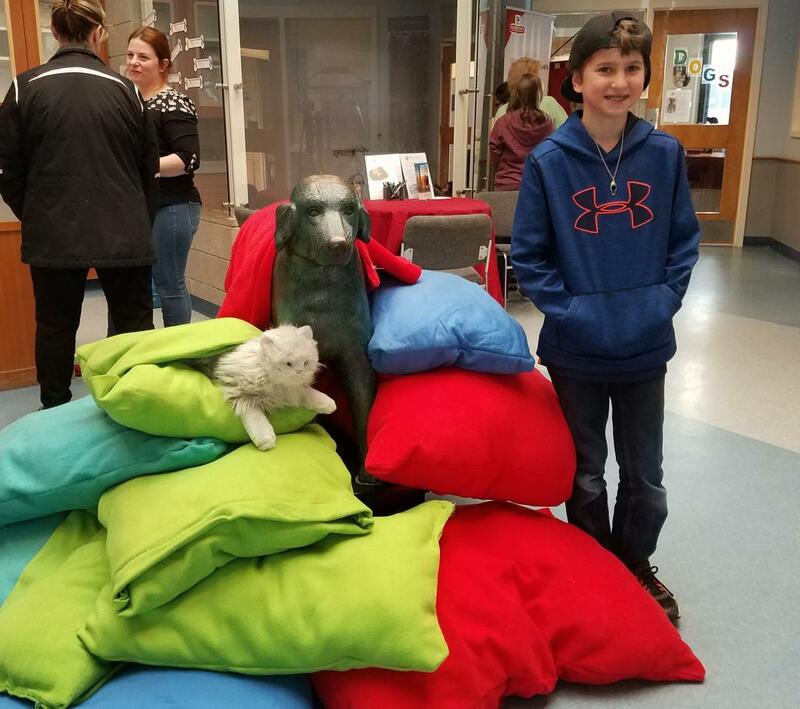 Ethan Raphaelson, a 4th grader at Sant Bani School in Sanbornton, used his service project this year to create "Comfort for Animals" here at the NH Humane Society. 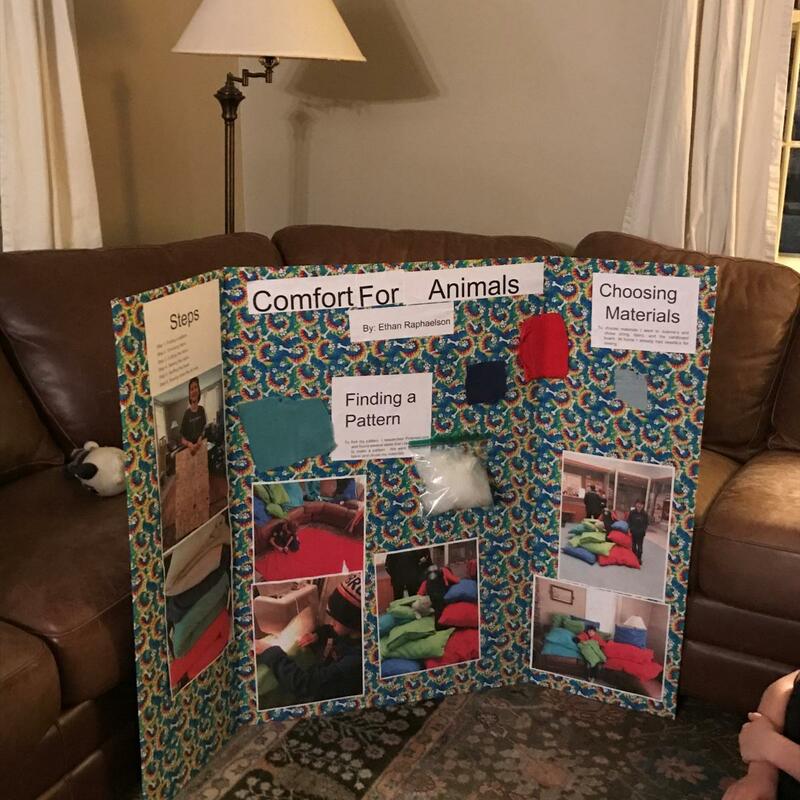 Ethan crafted almost a dozen beds for the cats and dogs awaiting their forever homes at the shelter, from cozy and colorful fleece material, fit to the measurements of the various kennels and cages. 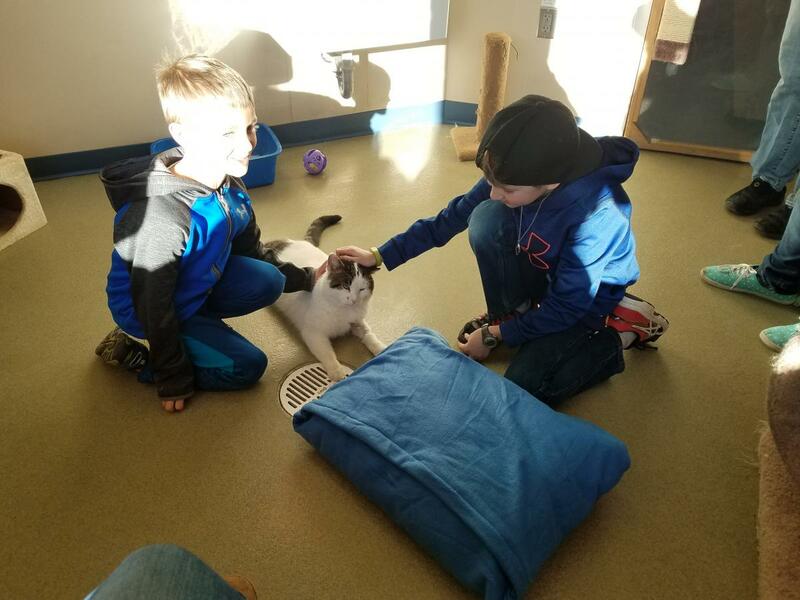 Ethan and his family delivered the beds to the shelter last week, spending some time to visit the cats and dogs who would enjoy his hard work. The NH Humane Society is a private, non-profit animal rescue and welfare agency, caring for over a thousand animals every year while they await their forever homes. 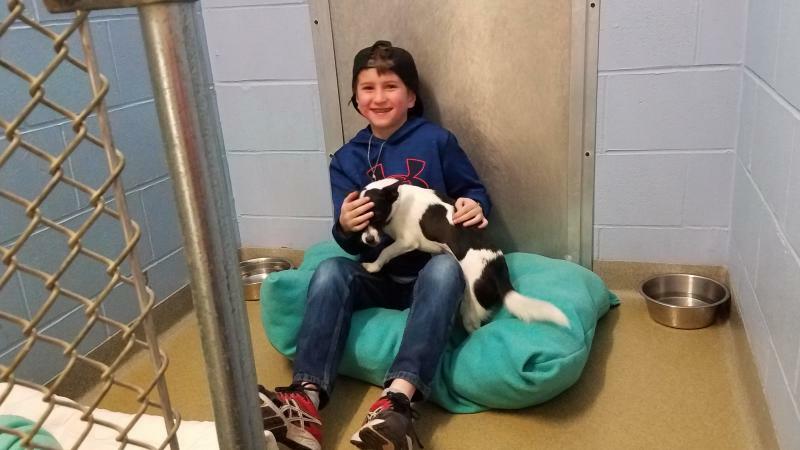 The Humane Society is funded solely by private donations, grants, and generous donations of products and services from our community, including school children like Ethan. Ethan and his brother with Mr. Kitty and a cat bed with pocket that he made, in the small social room at the NH Humane Society.